← New Year’s Resolution! Be as fit as you can be at the weight you are at. Can your candy, cake and cookies be the culprit of decreasing your cognitive function? Can your delicious fast food meal deal be contributing to your depression and anxiety? More studies are showing a relationship between certain foods and mental health function. A diet heavy on processed food, junk food, trans fats, saturated fats, high carbohydrate and sugar are associated with, but not proven, to decrease cognition function and contribute to mental health deficits. Although the data has not proven absolute harm, many health care providers can attest, patients whom change to a healthier diet report improvement in mood, anxiety, memory, learning and concentration. Dr. Drew Ramsey, M.D. is an assistant clinical professor of Psychiatry at Columbia University College of Physicians & Surgeon. He is also the author of The Happiness Diet: A Nutritional Prescription for a Sharp Brain, Balanced Mood, and Lean, Energized Body (Rodale, 2011) and Fifty Shades of Kale (HarperWave, 2013). He focuses his clinical work on treating depression and anxiety with a recipe of psychotherapy, lifestyle modification, and psychopharmacology. Dr. Ramsey notes, that while a healthy diet is emphasized in the healing and maintaining a healthy body, it is overlooked in the mental health community. Coping with depression and anxiety with junk food is a recipe for disaster. Learning, memory and concentration deficits have also been linked to an unhealthy diet. “Researchers led by Felice Jacka, PhD, of Deakin University, in Melbourne, Australia, has conducted a series of studies showing a poor diet to be associated with cognitive deficits” ( PLoS One, published online September 21, 2011). Not only what you eat, but also the amount can affect your cognition function. To much or to little food affects the brain. Schools have known this for years, kids whom eat a healthy breakfast perform better in class and on testing. 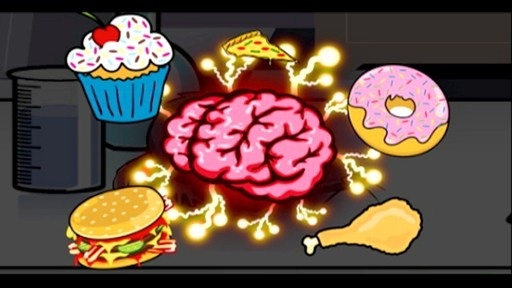 A poor diet- may not only provide improper nourishment to neurons but also affect neurotransmitters and deplete certain protective brain proteins. About a 100,000 chemical reactions occur in your brain at any given moment. These regulate every thought, emotion and action. The brain sends signals to neurons through messengers called neurotransmitters. Serotonin , endorphins and dopamine are neurotransmitters that seemed to be strongly connected to food and its influence on mood and cravings. Basicly foods that contain high amounts of fat, carbs or sugar tend to cause a boiling-over effect of desirable emotions that quickly evaporate. This is why a person may report an immediate feel-good response after eating these foods then have a sudden crash or low feeling. This depletion of neurotransmitters sends a strong signal to ‘refill the cup’ and that is what we call -cravings. So we discussed foods that can harm the brain, what foods can help the brain? Foods rich in omega 3s (healthy fats) such as fish, nuts and avocados helps the fatty membrane that surrounds the neurons, to be more flexible so that nutrients can get through. Also omega 3s decreases the blood’s ‘stickiness’ so the body’s blood can flow more proficient. The less sticky blood allows oxygen to energize brain cells. Caffeine, in moderation-less than 200mg a day, has been shown to enhance memory, concentration and mood by its stimulate affects. Foods with high antioxidants and vitamins such as berries and dark green leafy vegetables provide brain nutrients and protection. -Avocados: 1/4 to 1/2 an avocado a day. -Whole grains/wheat germ: 1/2 cup of whole-grain cereal, 1 slice of bread two or three times a day, or 2 tablespoons of wheat germ a day. 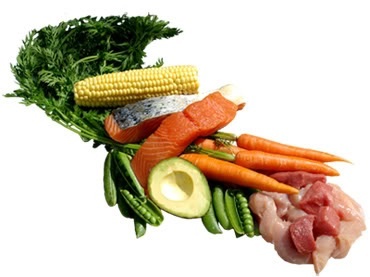 You can read further about each food and suggested amounts to consume at the web link below. This entry was posted in Brain, cognition, depression, Diet, Family and health, fitness, food, Healthy habits, intelligence, Uncategorized and tagged brain, Chronic stress, depression, dinner, family, fitness, happiness, healthy eating, intelligence, omega3. Bookmark the permalink.